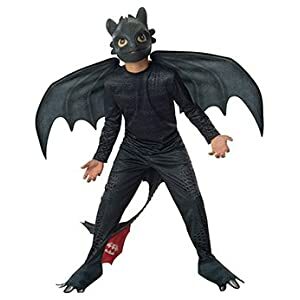 Enter the world of magical dragons in this officially licensed Toothless Night Fury Costume from the animated hit movie, How to Train your Dragon 2. 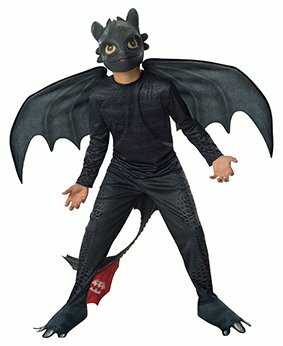 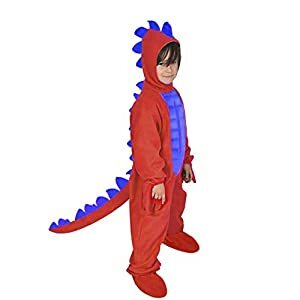 This four piece, Toothless Costume features a black, scale-printed jumpsuit with attached shoe-covers and a jagged tail which attaches with Velcro. 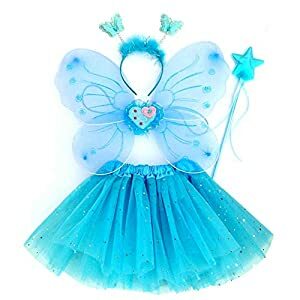 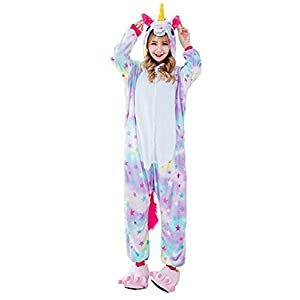 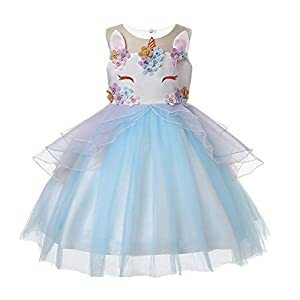 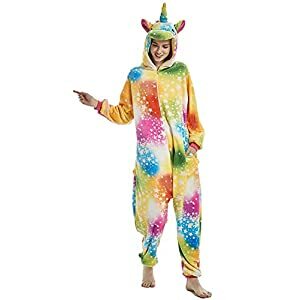 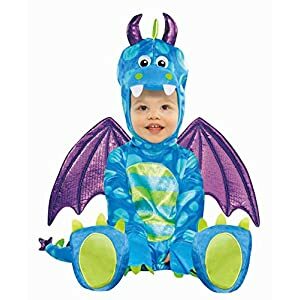 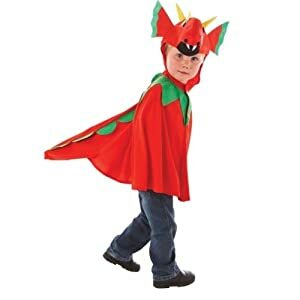 Also included with this Dragon costume is a cute moulded dragon face mask with elastic strap to secure in place and a pair of matching, wire-framed wings. 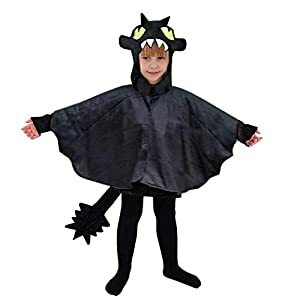 The perfect costume for fans of Toothless Night Fury, the most feared dragon in the sky!